Another lovely pastry from Maison Kayser, we couldn't take our eye off this one. All three were good, but we were smitten with the blackberry one on the right. 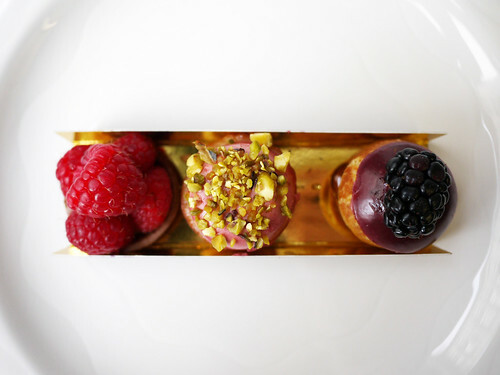 The little choux pastry was filled with a delicately scented blackberry (I presume) pastry cream. The raspberry tart was our second favorite.